Kimiora Taikoko with his 4-year-old son Jayden, whom he had always wanted to take on a trip to his birthplace of Aitutaki, Cook Islands. 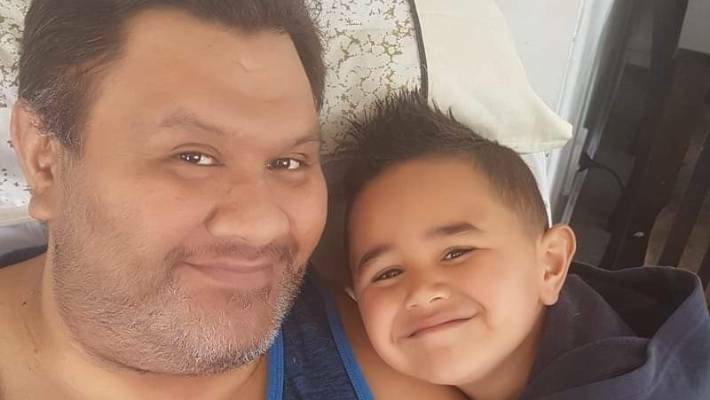 A mum is hoping to fulfil her late partner's wish of returning to his birthplace in the Cook Islands after he died suddenly in 2018. Kimiora Taikoko was born in Aitutaki – an island famous for its pristine beaches and large lagoon – but moved to New Zealand as a young child. 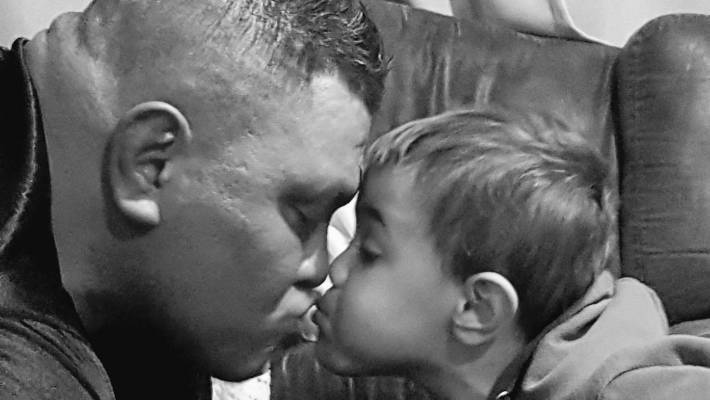 His partner of 13 years, Angie McNeill, said Taikoko had always dreamed of taking her and their 4-year-old son Jayden Taikoko back to Aitutaki for a visit, but he never got the chance. On November 10, Taikoko collapsed at home in the west Auckland suburb of New Lynn. It had started as a normal morning: "There weren't any warning signs – nothing". Kimiora Taikoko with his son Jayden. The pair were very close, Taikoko's partner Angie McNeill said. The family had just finished breakfast when, about 10am, Taikoko started screaming McNeill's name from another room. She ran over to him and realised his heart had stopped. McNeill frantically gave him CPR until paramedics arrived and rushed him to the ICU at Auckland City Hospital. Doctors did all they could to save the 47-year-old. But Taikoko died on November 23. He had woken up a couple hours earlier, so McNeill and Jayden the chance to say goodbye and give him a final kiss. Now, McNeill is fundraising to travel to Aitutaki with Jayden to sprinkle Taikoko's ashes in his homeland. "Laying him to rest over there would probably help with a bit of closure for us, knowing that he's where he wants to be," she said. The family hoped to hold a memorial ceremony at One Foot Island – a tiny island at the edge of Aitutaki's lagoon. McNeill estimated the trip would cost about $6000. 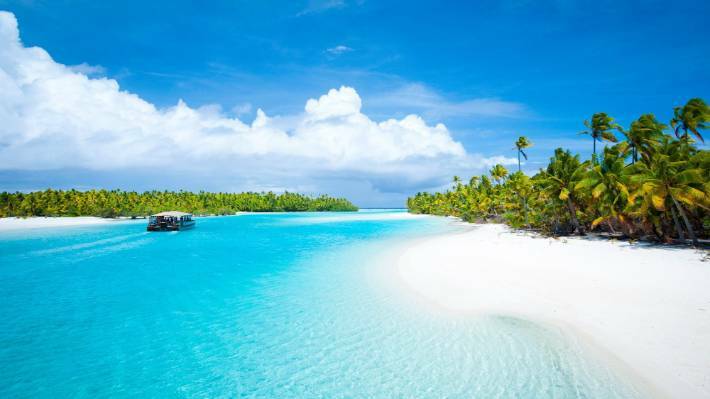 Aitutaki, Cook Islands, where the late Kimiora Taikoko was born. McNeill described Taikoko, a barber, as a family man who was "the light of the party". "[He was] definitely not quiet. You could hear him a mile away. He was not shy and loved his family." The last time Taikoko had returned to Aitutaki was in 1995. McNeill said Taikoko had been a devoted dad to Jayden and the pair were very close. 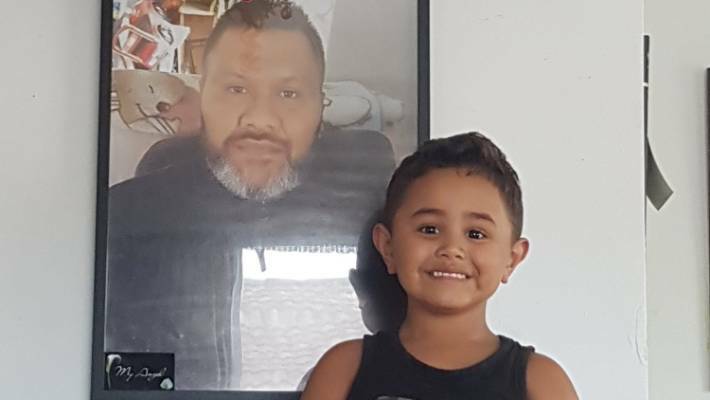 Jayden Taikoko, 4, with a photo of his late father Kimiora Taikoko. Losing his dad so suddenly had been hard on Jayden and during the past few months he had sometimes become distressed while at kindy. "Now he's talking about him a lot. He realises dad's in heaven. He always says 'but that's okay because my daddy's all around'," McNeill said. As well of trying to support her son, McNeill was dealing with her own grief. "I have my moments but I try not to in front of Jayden because he gets upset if I get upset. It's all a process. You'll never get over it but you learn to live with it," she said. McNeill has set up a Givealittle page to raise money for her and Jayden's trip to Aitutaki.